Watch episodes from the reality TV series The Ultimate Figher® 3. TUF 3 Ep.1 Fresh Meat Apr 6, 2006 (1:03:54) As coaches, legendary rivals Tito Ortiz and Ken Shamrock train a new army of mixed martial artists. The fighters are evaluated, teams are selected, and two middleweights clash in the Octagon™ for a chance at becoming the next Ultimate Fighter. TUF 3 Ep.2 The Basketball Apr 13, 2006 (41:56) A basketball drives a wedge between the teams. Feathers are ruffled as Coach Ortiz takes Matt Hamill under his wing. And two light heavyweights fight for a spot in semi-finals. TUF 3 Ep.4 Hitting It Hard Apr 27, 2006 (41:56) Team Shamrock is upset with their lack of training and take matters into their own hands. Fed up with Matt’s behavior at the gym, Bisping gets drunk and goes on a tirade. And two more light heavyweights compete for a spot in the semi-finals. 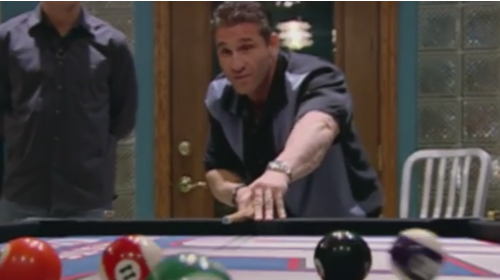 TUF 3 Ep.5 The Truce Is Over May 4, 2006 (41:56) After another crushing victory by Team Ortiz, Shamrock searches for answers to why his fighters aren’t winning. His frustration boils over and Ken loses his cool. The bad blood between coaches spills over to their fighters preparing for the semi-finals. 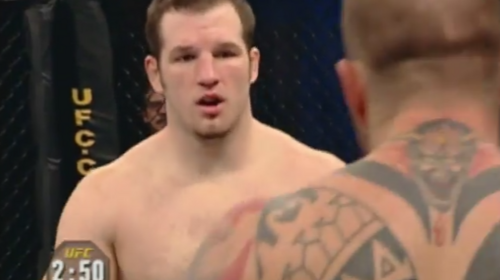 TUF 3 Ep.6 The Letter May 11, 2006 (41:56) Matt Hamill's behavior continues to irritate his teammates. Fighters start going stir crazy in the house and someone receives disturbing news. 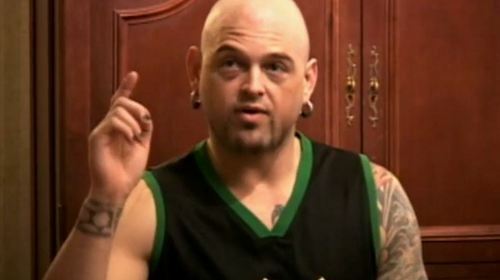 TUF 3 Ep.7 Mohawk Feb 22, 2012 (41:56) After Noah quits the competition, Dana White brings in a replacement. With Team Ortiz’s morale low, Tito lifts their spirit with a special surprise. Josh Haynes and Tait Fletcher battle it out in the third preliminary Light Heavyweight Fight. 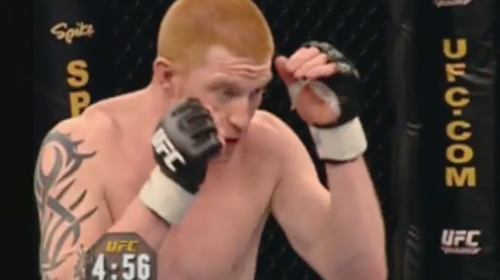 TUF 3 Ep.8 The Fuse Is Lit May 25, 2006 (41:56) Ed “Short Fuse” Herman finally gets his day in the Octagon™. Will he be able to prove that Tito should have picked him first or will Danny ‘The Assassin’ take him out? TUF 3 Ep.9 The Golden Boy Jun 1, 2006 (41:56) Tito’s prodigy Matt Hamill finally gets his chance to fight in the Octagon™ against Mike Nickels. But Matt gets little support from his teammates have issues his superior skills and cockiness. TUF 3 Ep.11 The Jungle Jun 15, 2006 (41:56) It’s almost the end of the competition and the fighters are going crazy. The last middleweight semi-final fight pits Ed Herman against Rory Singer. TUF 3 Ep.12 Bangin' Jun 15, 2006 (41:56) It’s the light heavyweight semi-finals with Josh Haynes facing Jesse Forbes and Ross Pointon taking on. Michael Bisping. Two will move on to battle it out for the contract in The Ultimate Fighter® Live Finale. Kendall Grove vs. Ed Herman TUF 3 Finale Jun 24, 2006 (29:13) Kendall Grove and Ed Herman had a three round war to find out who would win The Ultimate Fighter® 3 Middleweight Bouts crown. Both fighters refused to lose with Grove getting the judges vote. Michael Bisping vs. Josh Haynes TUF 3 Finale Jun 24, 2006 (22:14) TUF 3 light heavyweight finalists Michael Bisping and Josh Haynes waged a compelling war to keep fight fans in Las Vegas happy and also earn the pride of Liverpool a six figure UFC® contract, as Bisping stopped the courageous Haynes at 4:14 of the second round. The Ultimate Fighter Season 3: Auditions Apr 7, 2015 (20:09) Check out the auditions from season 3 of The Ultimate Fighter.